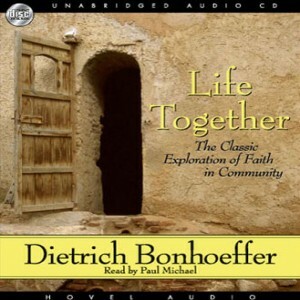 Now in Life Together we have Pastor Bonhoeffer's experience of Christian community. This story of a unique fellowship in an underground seminary during the Nazi years reads like one of Paul's letters. It gives practical advice on how life together in Christ can be sustained in families and groups. 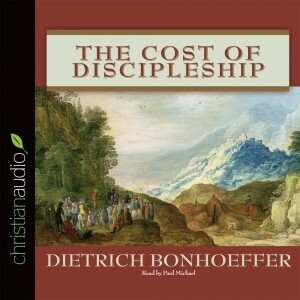 Viewed against the background of Nazi Germany, Bonhoeffer's book is striking enough. At the same time, it shares with many great Christian classics a quality of timelessness, so that it has spoken, and continues to speak powerfully, to the varied concerns of the contemporary world. At the time of his execution by the Nazis in 1945, Dietrich Bonhoeffer was not quite forty years old. Yet already, his influence as a theologian was felt not only in Germany, but throughout the world. 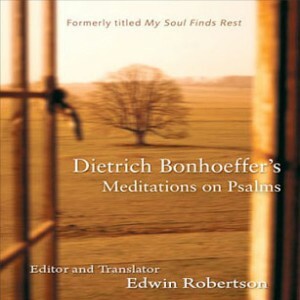 His interactions with the Psalms reveal a passionate heart and brilliant mind grappling with the Bible’s eternal truths and their application to human nature and temporal realities. 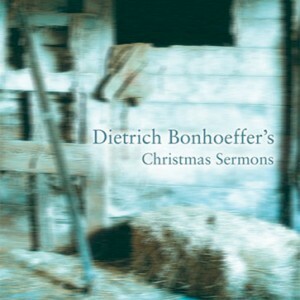 Here you will find the complete Advent sermons of one of the most important Christian thinkers of the 20th century, Dietrich Bonhoeffer. Far from presenting the usual “gentle Jesus meek and mild,” they challenge the reader to think seriously about the meaning of the incarnation. "There are only two places where the powerful and great in this world lose their courage, tremble in the depths of their souls, and become truly afraid. These are the manger and the cross of Jesus Christ." "No priest, no theologian stood at the cradle of Bethlehem. And yet, all Christian theology finds its beginnings in the miracle of miracles, that God became human." These stirring words are among forty devotions that guide and inspire readers as they move thematically through the weeks of Advent and Christmas, from waiting and mystery to redemption, incarnation, and joy. 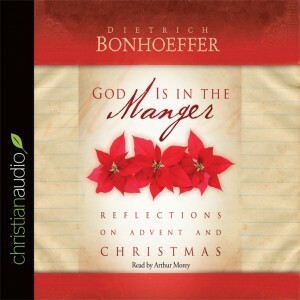 Supplemented by an informative introduction, short excerpts from Bonhoeffer's letters, and passages from his Christmas sermons, these daily devotions are timeless and moving reminders of the true gift of Christmas.